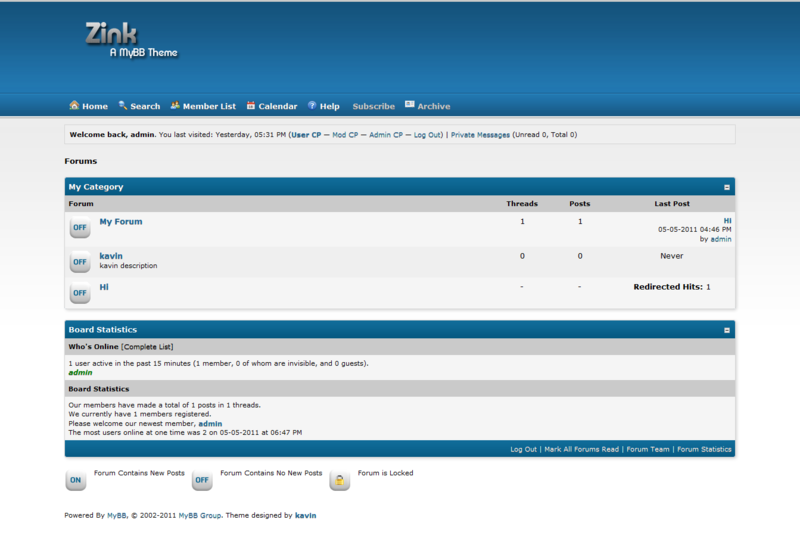 A dark blue theme for MyBB. 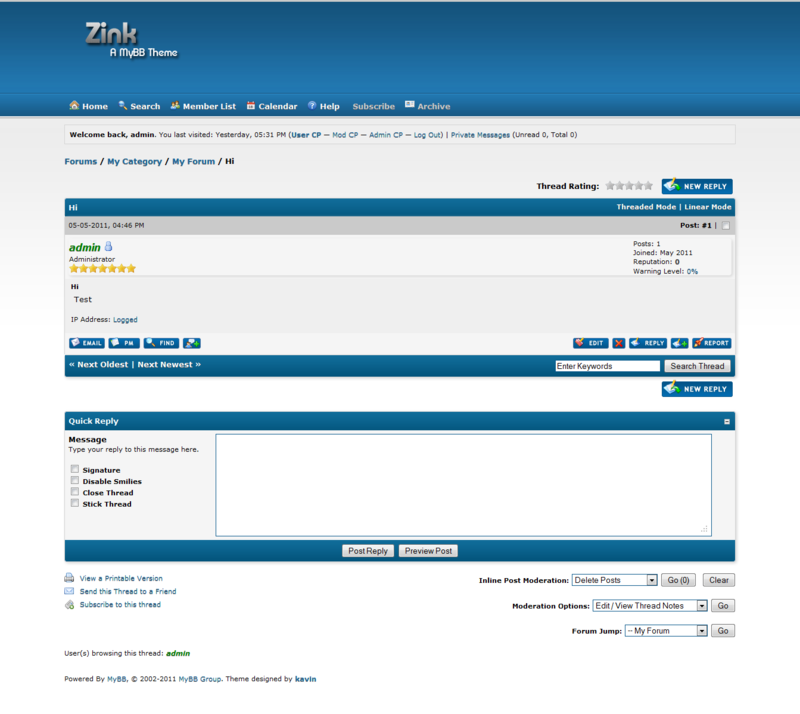 A dark blue, fluid theme for MyBB 1.6.x. Refer ReadMe.txt for installation instructions. Please retain the copyright in Footer.